Public Seismic Network Inc., Dominica (DPSN) is a registered non-profit, non-governmental organization on the Caribbean Island of Dominica. DPSN is dedicated to promoting public awareness towards disaster risk reduction, providing information about earthquakes, volcanoes, tsunamis and other geological hazards, and assisting public safety officials in the dissemination of such information to the public. DPSN was founded in 1998 and modeled after the Public Seismic Network (PSN) in California. DPSN is part of the PSN, a growing worldwide group which connects amateur seismologists, persons interested in earthquakes and seismic activity with information resources; from general history to detailed plans for constructing monitoring instruments and systems. DPSN's membership is made up of ordinary citizens from all walks of life. It's purpose is build a constituency of well informed residents who not only know how to respond to catastrophic geological disasters but support hazard mitigation efforts in the community. Dominica is a volcanic island located in the inner arc, midway down the chain of islands forming the Eastern Caribbean. Unlike the other volcanic islands in this chain which each have one potentially active volcano, Dominica has nine - the highest concentration of volcanoes in the world. 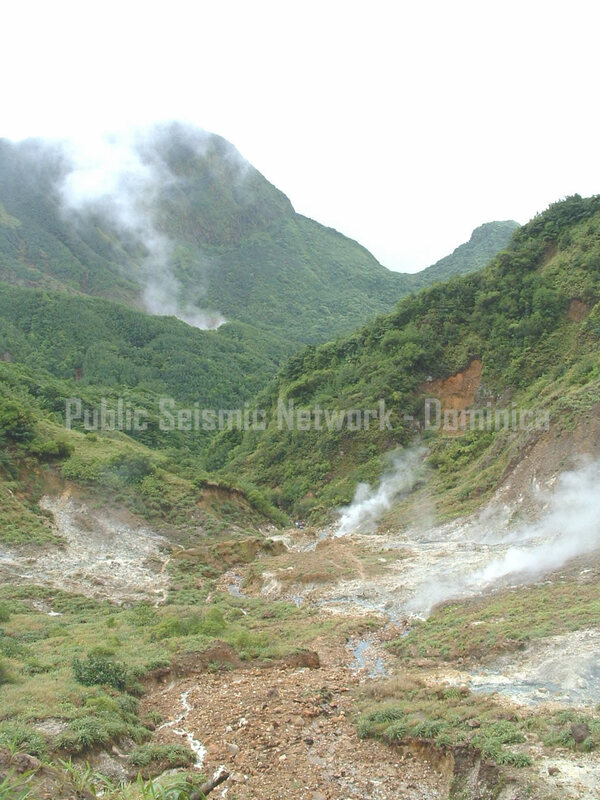 Frequent swarms of volcanic quakes under these volcanoes coupled with occasional tectonic quakes along the nearby North Atlantic/Caribbean plate boundary constantly remind us of the serious seismic dangers which lurk even on tranquil, beautiful islands like Dominica. Knowing what to do when an earthquake strikes can really save lives.